Home Latest PTC CPED ATD NA MITRO MATE PARIKSHA GUJRAT VIDYAPITH NOTIFICATION DECLARE. 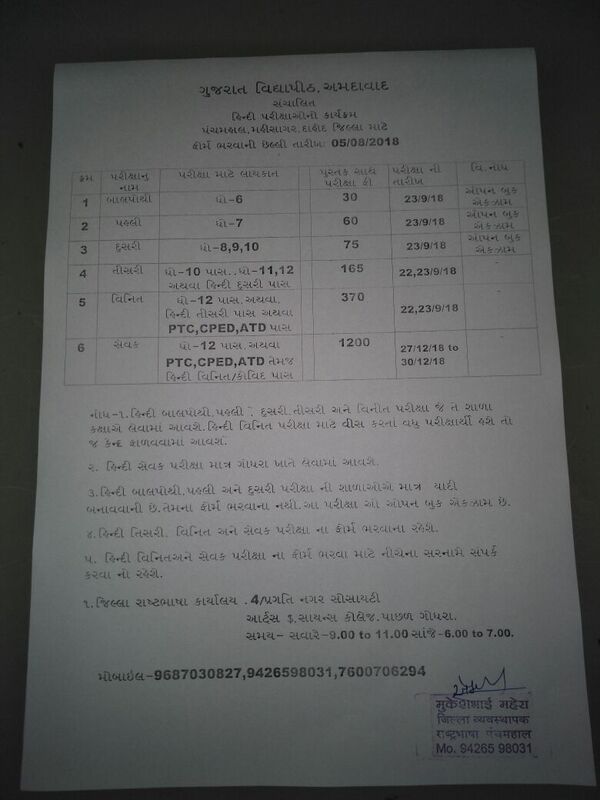 PTC CPED ATD NA MITRO MATE PARIKSHA GUJRAT VIDYAPITH NOTIFICATION DECLARE. Previous articleKUTCH – BADALI VALA SHIXAKO NE CHHUTA NA KARVA BABAT PARIPATRA DATE-22-6-2018. Next articleVALSAD – YEAR 2018 NI JAHER RAJAO NU LIST.